Is Harry Bosch still at the top of his game during the fourth season of the Bosch TV show on Amazon? Usually, the Nielsen ratings play a big role in determining whether TV shows are cancelled or renewed. Amazon and other streaming platforms, however, collect their own data. If you’ve been watching this TV series, we’d love to know how you feel about the Bosch season four episodes. We invite you to rate them for us here. An Amazon detective drama, Bosch stars Titus Welliver, Jamie Hector, Amy Aquino, Madison Lintz, and Lance Reddick. Based on the Michael Connelly book series, the action centers on dogged Detective Hieronymus ‘Harry’ Bosch (Welliver), of the LAPD’s Hollywood Homicide Division. Although something of a rebel, this military veteran who served in both Iraq and Afghanistan, understands why there are rules, but also knows when to skirt them. The fourth season is based on the novel, Angels Flight. What do you think? Which season four episodes of the Bosch TV series do you rate as wonderful, terrible, or somewhere between? 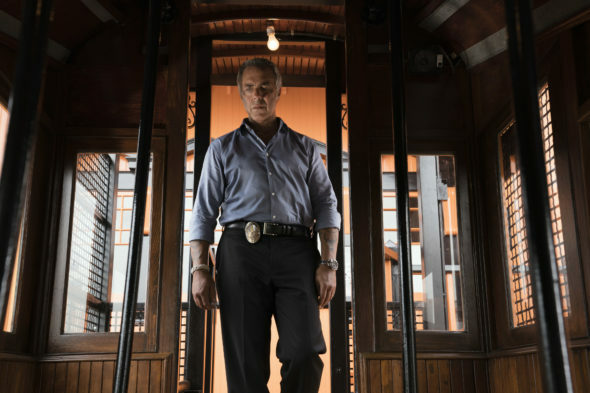 Are you happy Amazon renewed Bosch for a fourth season? Don’t forget to vote, and share your thoughts, below. More about: Bosch, Bosch: canceled or renewed? I started watching Bosch and found it hard to stop watching….I do not watch any cop shows these days…however, I decided to see what this show was about and found it hard to stop watching….hope there are more seasons to come than the four I just finished watching….it is a very good show and the cast and characters are great….very believable characters….good writing and acting…..
movie in my head matches the shows on the screen! More please!! So very pleased that the series was renewed, I find this to be perhaps the best ever police action series, very close to the actual happenings of a big time dept. Bosch is so compelling. Totally flawed and consequently believable characters. Remembers it’s first and foremost a cop story without becoming a soap opera like so many other crime shows.